On Sunday 15 November at 2:00 p.m. the Cadets and Otters are meeting in the Clubhouse to elect a new Committee. It will also be a chance to review the 2009 programme and look forward to 2010; coming up with ideas both on and off the water. So put your thinking hats on all you Cadets and Otters and make sure you make it down to the Clubhouse on 15 November to vote for your own Committee. Getting To Know You: Gunfleet's 2009 Cadet Week got off to a roaring start with 37 young members turning up for the first day. In a fresh south easterly wind and a lumpy sea everyone got out for a sail, with a large fleet of Topazes and Toppers dominating the waters off the Club. Both Club Safety Boats were out all the time but apart from a little guidance they were not called upon. Having all built up a healthy appetite in the morning the crews returned to shore where a lunch was waiting, before a second trip out to get really accustomed to their craft. The 2009 Gunfleet Cadet Week will soon be upon us, 24 - 28 August, and it looks like being a fun packed event. There will be fun on and off the water, and it all builds up to Cadet Day on Saturday 29 August which forms part of the Club's Regatta Weekend. You should all have received your application form to take part and already our Cadet Officer Andy Ford has a number returned. So, to avoid disappointment, get your application in quick - The closing date is the end of July. 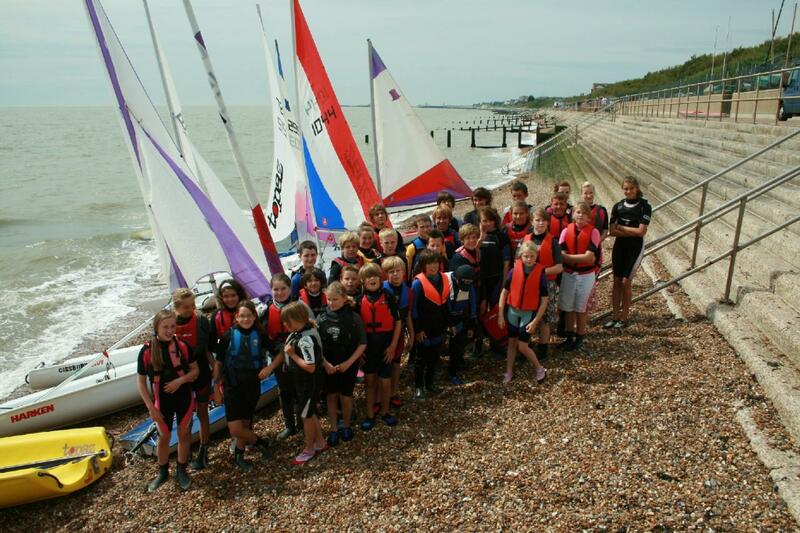 Gunfleet Sailing Club’s youngsters recently submitted an application for a grant to purchase two dinghies in order to provide training facilities for new junior members. Unfortunately their application was not successful but one of the Club’s members felt so disappointed that they offered to purchase two brand new Topaz dinghies in order that no young person keen to take up sailing would be disadvantaged. 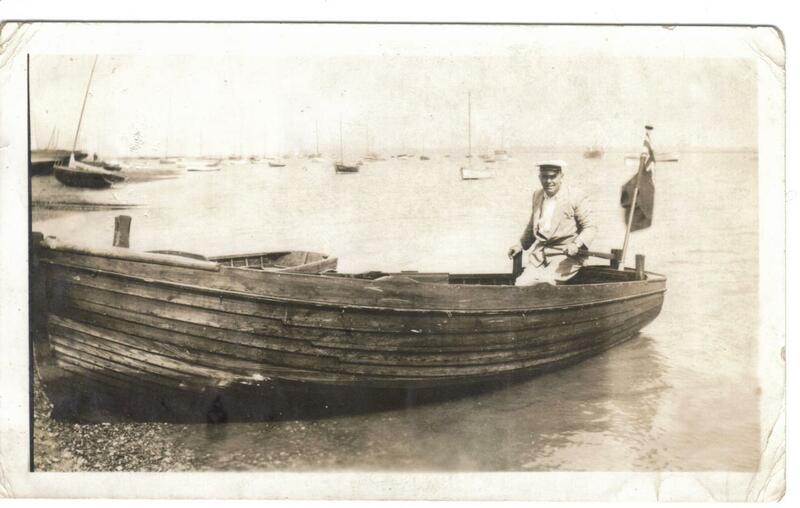 The member, who wished to remain anonymous, requested that one of the boats be named “Cissbury Lady” as that was the name of their grandfather’s boat that went to Dunkirk during the Second World War to help evacuate the troops from the beaches. 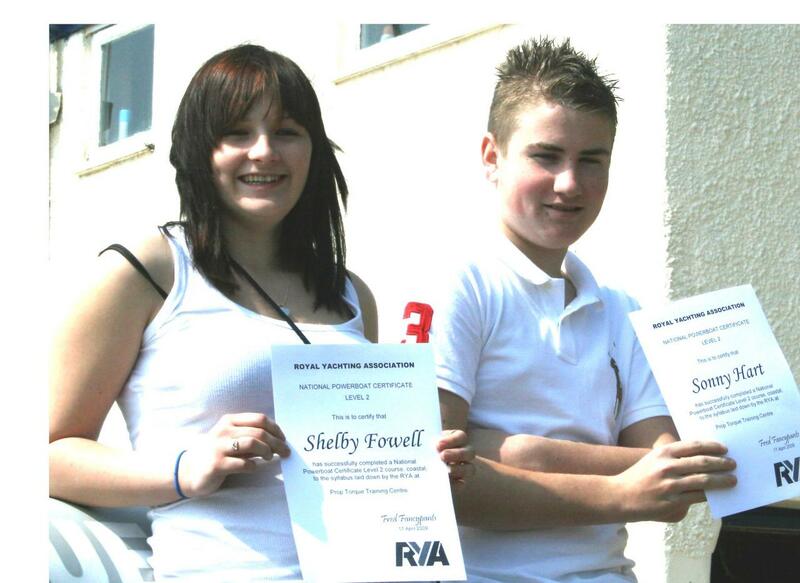 Two young members of the Gunfleet Sailing Club have just celebrated obtaining their Level 2 Powerboat Training. The Club was recently awarded a Grassroots Grant from the Essex Community Foundation which was used to purchase a second Safety Boat to look after the increasing number of young people - Cadets and Otters - joining the Gunfleet to take up the sport of sailing. It was also agreed that part of the grant would be used to train two of the more senior cadets to be able to handle the Safety Boat so they can assist in looking after the other youngsters when on the water.